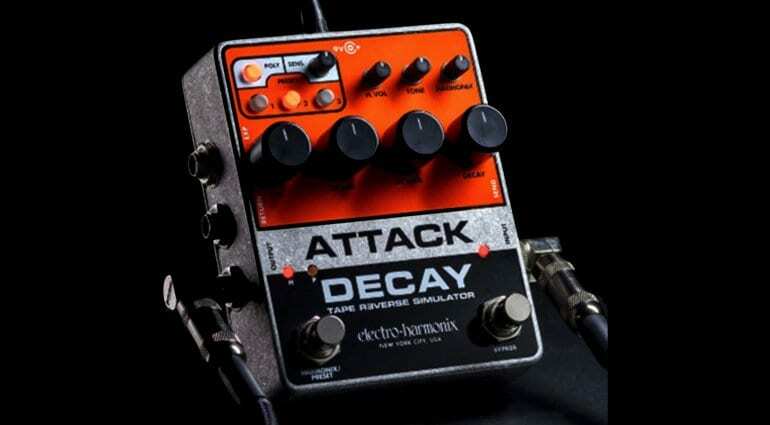 The new Electro Harmonix ‘ 80s Attack Decay is a bit of a cult classic and so collectors go squirrely for them. Now the New York pedal company has bought it back, updated for 2019. 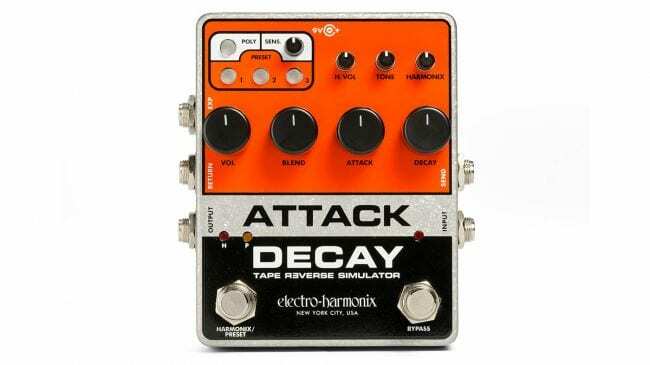 The Attack Decay is tape reverse simulator effect and it can produce volume and reverse swells, backward tape sounds. Or artificially short staccato notes and even bowed instrument effects. Originally called the Tape Reverse Simulator, it certainly can be a versatile effect. 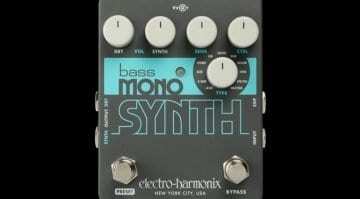 Now though they have added an in-built Harmonix fuzz, to give you a bit more to play with. 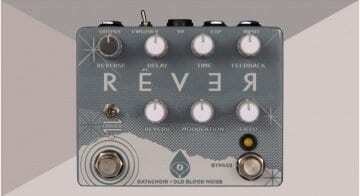 Mike Matthews likes to give people effects to tinker with and this certainly is one of those. 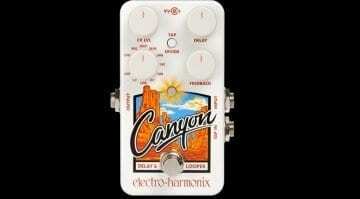 The pedal can store three presets and you can use an expression pedal or CV to control the Attack Decay’s parameters. I like the built-in effects loop, as it allows you to get other pedals to be inserted into the volume envelope of the effect. 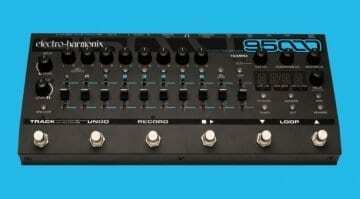 It ships with the EHX 9.6VDC-200mA power supply.